Ultimately, your decision should be driven by the level of personalized service you require, your long-term objectives and of course, cost. If you want to tick all the boxes, then we recommend partnering with a virtual accounting firm for your CFO services. What activities would benefit from a CFO’s input and assistance? Are these one-time activities? Annual? Quarterly? Monthly? Daily? Which business financial goals am I looking to meet by hiring a CFO to assist? If services are on a one-off basis, how equipped is my staff to handle routine financial reporting, dashboards and other daily tasks between consultations? 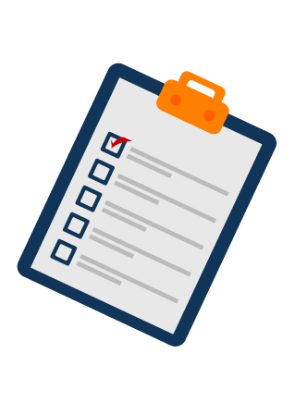 After answering these questions, we recommend putting your results you collect into a chart with daily, weekly, monthly and annual tasks that could use some tweaks. Perhaps, you’re pretty new to organizing your financials and don’t have enough information for a chart? In that case, make a list of what you’d like for your outsourced CFO to accomplish. The CFO you select should be able to help you organize these into routine tasks to be accomplished on a clearly defined schedule. If you’ve been in the private sector long enough, you likely know a C-Level executive who has exited their post at the helm of a company to offer consultative services to clients on an as needed, on-demand basis. This is no different for CFOs. These individuals will often work as contractors, offering services to small business owners within their network. Sometimes they join organizations of former CFOs who now provide outsourced CFO services to small businesses. The benefit of partnering with an individual is usually that it can be cost-effective for short-term consulting jobs. But the major challenge with this model is that it’s often difficult to find a professional who has the industry-specific experience you require. For instance, if you hire a CFO who has 20 years experience within the field of education for your textiles manufacturing business, you’ll likely be paying for advice from someone who doesn’t understand the nuances of your business. Executive search firms in the staffing and recruiting industry sometimes offer on-demand CFO services to small businesses seeking consultation. These are typically hourly, consultative services. In this scenario, the executive search firm leverages its existing relationships with leadership throughout the community to provide an as-needed service to clients who require help with a specific project, like preparing for an audit. This may offer a good short-term solution, but may not meet your long-term goals. You should also keep in mind that an executive search firm ultimately wants to place a CFO at the helm of your business, and the cost of hiring a full-time in-house CFO is usually six figures. In the professional outsourcing space, you find giant, worldwide conglomerates that specialize in helping businesses reach their goals through outsourced labor. Companies like Deloitte and Accenture are good examples. These agencies pride themselves on specialization, having a team member who can meet every need. However, the downside of partnering with a large, outsourcing agency is the lack of timely, personalized services. These companies can efficiently churn out labor and consultation services but lack a personal touch which is important to small business owners. Accounting firms make their life’s work attending to business finances. They hire skilled accountants and CPAs who are qualified to assist with CFO services such as budgeting, accounting, forecasting and providing consultative advice. These businesses typically benefit from the experience of accountants in all different kinds of fields, making an accounting firm a good choice for anyone who needs someone who can provide financial advice specific to their line of work. However, the distinction with virtual accounting firms is that they leverage technology to provide the same services but at a fraction of the cost. In this way, high-quality professional accounting advice becomes more accessible and affordable for businesses of any size. At the same time, it is important to note that not all virtual accountants are created equally and it is important to do your research before making a final decision. In fact, some virtual accounting companies are based in one location but re-outsource to other firms, making it near impossible to have confidence in their services. At Ignite Spot, our entire accounting team is based at our headquarters in Kaysville, Utah. We do not re-outsource this work to any other firms. That means that your team is 100% American and trained to support your small business. Overall, partnering with an accounting firm provides small businesses with expertise tailored to their business. Below are some additional benefits of partnering with an accounting firm. Accounting firms come in many sizes and bandwidths to meet your small business needs. If you want all the experience and expert efficiency of a big firm, but you’d also like to be able to pick up the phone and reach a real person, then a virtual accounting firm might be a good fit for you. During your search, take some time to check out the team that would be serving you and learn more about the hiring process of your CFO services partner, if the information is easily available. For example, at Ignite Spot, each person on our team is hand-picked. In fact, it’s not easy getting on the Ignite Spot team. Our interview process is built to weed out accountants that don’t share a passion for our mission to help every business in America become debt free and profitable by 10% or more. Running the numbers, updating dashboards and other daily activities are commonplace in an accounting firm. When you partner with an accounting group, you know that you’re dealing with an expert in daily reporting. And that means there will likely be no setup contingencies that have to be implemented to service your business and no need to install special equipment or software needed to manage it. Good accounting firms should already have the foundation in place and the bandwidth to add your business to their portfolio. This means your business will benefit from real-time, accurate reporting exactly when you need it so you can make the most informed decisions to fuel growth. Our online accounting services free you from your accounting headaches and give you one-on-one support to help you master your finances. Depending on your needs, it may be good to find an accounting firm that specializes in using new technology for bookkeeping services. Bigger firms tend to have more funds to invest in technology and an infrastructure in place to support it. In addition, most virtual accounting firms will invest in state-of-the-art technology that allows you to access your financial information whenever you need it and from any location. If they have been around for awhile, they should be able to manage your QuickBooks licenses, host your software and offer suggestions for other accounting platforms that may make more sense for your needs. It’s likely you are already partnering with an accounting firm, or maybe you’ve recently considered it. When you trust your business finances to an accounting firm for CFO services, what you are getting is a virtual accounting department. In other words, CFO services in and of themselves are an extension of services you may already be using with an accounting firm or thinking about using. These services all connect with each other in support of a positive financial outcome for your business. Big Picture Strategy and Profit Coaching: Your Ignite Spot Controller / CFO will prepare financial performance reports and discuss them with you through weekly or monthly calls. Our focus surrounds seven key areas that will transform your small business profitability. Day-to-Day Tasks: With online bookkeeping services for small business, you can turn your attention to other work that needs to get done. We furnish you with up-to-date financial reports so you never have to wonder about your company's financial condition. Areas of focus include data entry and reconciliation, accounts receivable and payables management, sales tax, monthly financial statements, payroll preparation and inventory reconciliation. In short, you’ll get a certified online bookkeeper to support your business, making it easy to assign your tasks, chat instantly and download reports. Small Business Tax Preparation: As an Ignite Spot client, your bookkeeper and controller will give everything to your Ignite Spot CPA for a complete tax return. Improve Collections: We help businesses increase their collection rates by 30% through improved invoicing, documentation and collection calls. Become Profitable: We help businesses grow their profit margin by at least 10%. One of our current clients has reported a growth rate of 750% over a 12 month period. Maximize Cash: With our coaching, on average, our clients free up $45,000 a year in expenses. In addition, by having access to accurate daily, weekly or monthly reports they can make better cash decisions. Still not sure if this is the right move for your small business? Let us prove ourselves to you with a free coaching session to see how Ignite Spot can help your small business make more money. 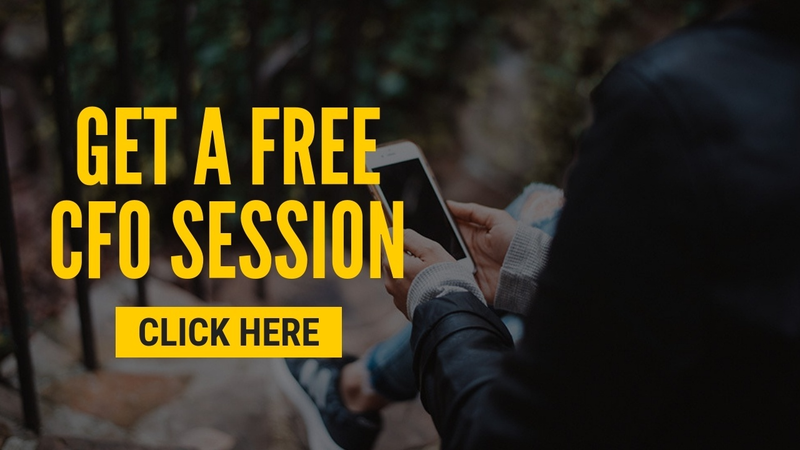 Get 2 coaching tools absolutely free.